Arising from a one-day conference that took place in Yad Vashem in 2015, this publication has two main explicit objectives: The first is to bring together a range of international experts working on the case of Romania during the Holocaust today and showcase the state of research with a range of original contributions. The second is to discuss the causes of the ignorance regarding this topic. 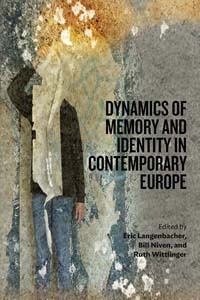 As a result, while this collection offers an overview of some of the most recent research on Romania and the Holocaust, it also constitutes a politically engaged reflection on the sources available, the historiography, the societal legacies and the place of this chapter of the Holocaust in the wider field of Holocaust research. Most of the eleven contributions can be paired thematically. Mariana Hausleitner and Henry Eaton, for example, focus on the scapegoating of Jews, at the beginning of the war, with the stereotypes of Jewish Communism and Jewish gangs. They stress the importance of this accusation for the anti-Jewish violence and pogroms that broke out in the summer of 1941 in Northern Bukovina and the city of Iaşi respectively, and its relationship to the sense of Romanian national humiliation following border changes and territorial losses. Closely rereading known sources, Hausleitner and Eaton go beyond underscoring to the existence of this myth and look at how it developed and functioned, including how documentary evidence was distorted to fit this claim. Taking us a little farther afield, but thereby also usefully drawing attention to transnational trends, Kai Struve and Witold Medykowski analyse the character of the outbreaks of violence in the former areas of Soviet occupation in the summer of 1941, from eastern Galicia to the Baltics. Struve's analysis, a summary of a much wider study, is particularly convincing. He emphasises the importance of state building and indoctrinated insurgent groups for the "retaliation" against the Jews who allegedly supported Soviet rule . 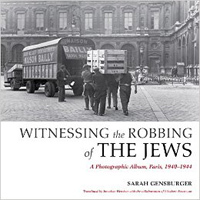 Both authors thus revisit the question of who were the perpetrators of early anti-Jewish violence in the region and their motives and offer a precise answer. Opening up a rather new area of research, Sarah Rosen and Gali Tibon's contributions deal with aspects of everyday life in the ghettos of Transnistria. They both focus on the role of the Jewish leadership and particular individuals. 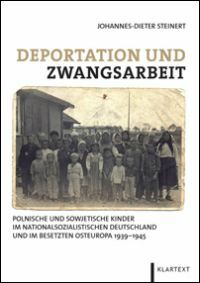 With this, they are able to highlight the existence of tensions and hierarchies among Jews from different areas deported to Transnistria as well as local Jews. They thereby give insight into the complexity of human relationships under these extreme circumstances and the deportees' variable experiences both across and within Transnistrian ghettos and camps. The last three contributions deal with what can be described as "the aftermath", namely the process of dealing with the past in Romania. Tuvia Friling gives a personal account of his experience as a member of the Elie Wiesel Commission and the challenges and achievements of this unprecedented undertaking. 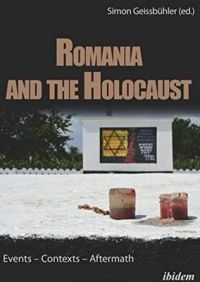 Michael Shafir offers an extensive overview of public attitudes to the Holocaust in Romania - a compilation of major media events, public statements and turning points since 1989. Finally, Simon Geissbühler's conclusion sums up in a clear, concise and straightforward manner what he sees as the collection's main take-away points regarding the Holocaust in Romania. Two of the contributions stand out from the rest. These are that of Alti Rodal and Diana Dumitru. Rodal, the descendant of Jewish survivors from Northern Bukovina, adopts a micro-historical and multi-perspectival approach to analyse the circumstances of the village massacre that her relatives closely escaped in the summer of 1941, when they were attacked by their Ukrainian, nationalist neighbours. 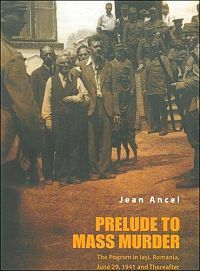 Not only does she give a very detailed and sensitive account, but this integrative approach to "localized instances of genocide" (82) also highlights the fascinating dynamics of peer pressure, political indoctrination and the consequences of the power vacuum, as well as the existence of different post-war versions of what happened and efforts to escape prosecution. Dumitru, in turn, deals with an intriguing phenomenon: the retrials of individuals involved in anti-Jewish violence during the war in the midst of the de-Stalinisation campaign of the mid-1950s. 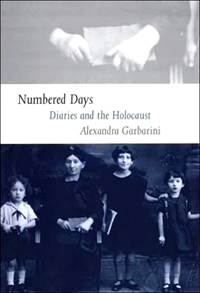 Acknowledging the challenging character of her sources, she uses them to show not just what happened but how the availability of witnesses and evidence, shifting concepts of justice, the political setting and the sheer desire to move on after World War II all determined the outcome of post-war legal procedures. There are three ways in which this volume proves particularly useful. Firstly, it makes clear the significance of certain factors, which are central themes to several contributions, for understanding how the Holocaust could happen in Romania and elsewhere. These include the myth of Jewish communism; the importance of economic gain and plunder; the dynamics of violence across groups and borders; the significance of military defeat and political chaos. Not only should this encourage historians to explore these avenues further, but also inspire students and researchers to consider multiple factors when thinking about the Holocaust. Secondly, this work points to the diversity of the sources available on the Holocaust in Romania and problematises what this means. On the one hand, it now makes it possible to offer such complex, multi-perspectival analyses as those we read here, drawing on material ranging from contemporary diaries to post-war Soviet court material. On the other, these same sources have sometimes helped distort the historical record. This book shows it is time to reflect on not only the story they enable us to tell, but also on what those who produced them wanted us to know. Finally, the contributions not only give new insight into motives for the crimes committed in Romania, but also emphasise the place of these events in the wider context of what we think of as "the Holocaust". Several authors dealing with a particular outbreak of violence, for example, ask whether this could or should already count as genocide. Whatever the answer, the posing of this question usefully draws attention to what the words and concepts we use imply. The similarity of some of the contributions can give the reader a slight sense of repetition and the quality of the writing and editing is somewhat uneven. However, overall, this is a very valuable contribution to the literature. 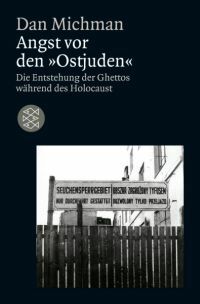 It functions well as both an introduction and a tool to deepen experts' knowledge of specific aspects of the Holocaust. In particular, it offers an unprecedentedly broad, transnational and methodologically innovative perspective on the case of Romania. See e.g. 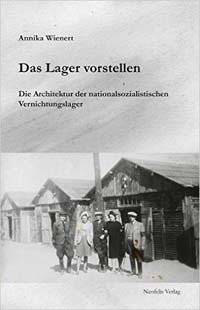 the work of Hildrun Glass: Deutschland und die Verfolgung der Juden im rumänischen Machtbereich 1940-1944, München 2014; Stefan Ionescu: Jewish Resistance to 'Romanianization', 1940-44, Basingstoke 2015; Eric Steinhart: The Holocaust and the Germanization of Ukraine, Cambridge 2015 and Diana Dumitru: The State, Antisemitism, and Collaboration in the Holocaust. The Borderlands of Romania and the Soviet Union, Cambridge 2016.